A Baptist antagonist claimed he had the proper view of God’s plan of salvation – working through dispensations. I explained to him the more substantial, biblical and Catholic concept of covenants. I think you will enjoy the chart which makes salvation history easy to visualize and comprehend. It was good talking with you on the phone. Sounds like your summer is about as busy as ours. Anyway, . .
. . . . following is a chart describing my understanding of the Catholic teaching on the Covenants, followed by a few paragraphs from the Catechism of the Catholic Church (CCC). They relate to the covenants which I told you I would send over when we talked on the phone the other day. These paragraphs appear early on in the Catechism and are in the context of the progressive revelation of God to His people. The Catholic Church has always taught the covenants of God are ever-expanding as he reveals Himself to an ever-expanding group of people in His plan to redeem back for Himself members of every tribe and nation. I have an extra copy of the Catechism which I will give you; it is a fascinating piece of work. The New Covenant, ratified by the blood of Christ Himself, the Creator, brings all parties within the scope of salvation and the New Covenant – Jew and Gentile. 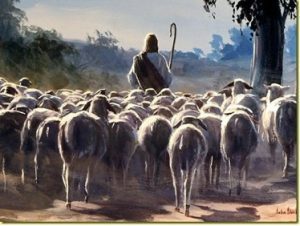 Jesus tells us in John 10:16 that “And I have other sheep, which are not of this fold [non-Jews]; I must bring them also, and they shall hear My voice, and they shall become one flock with one shepherd.” Paul tells us that the great mystery is that the plan of God is to include not just the Jew but also the Gentile (Eph 3:3-6) – the whole world. Below is a brief overview of my understanding of the progressive covenants by which the Catholic Church teaches that God revealed Himself and brought His redemption to the world. I put it in a table format for ease of reading. For the chart and the whole letter, click here. Previous post: Israel Day 4: Capernaum, Boat Ride, St. Peter’s Fish, Visitation and Jerusalem! Next post: All Day Bethlehem!